The African Democratic Institute’s (ADI), Pan African Leaders Platform’s (PALP) mandate is to create a forum for reflection, intervention, advice, mediation and mobilization strategies pertaining to issues of peace and security on the African continent. The Platform also acts as a forum and vehicle for onward recognition of Africans who have distinguished themselves in the service of their people and continent. 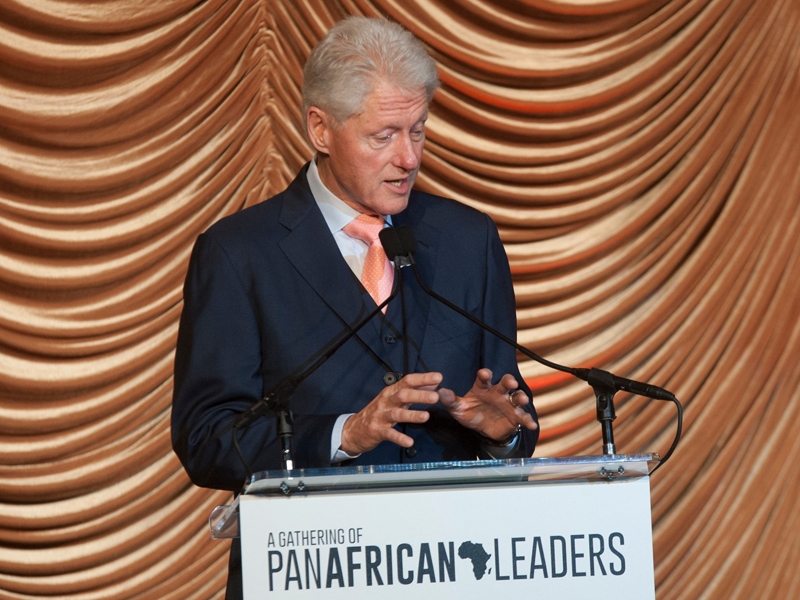 The inaugural dinner was held on the sidelines of the US-Africa Leaders’ Summit on the 4th of August 2014, with the goal of enhancing US-Africa business and partnership relations. An honorary award was presented to the Former United States Ambassador to the United Nations, Andrew Young. He was recognized for his tireless efforts in promoting trade and investment opportunities between Africa and North America. The PALP Award honours an African individual who has shown exceptional effort and commitment to advancing democratic principles in Africa. These principles should reflect the three pillars of ADI, namely; building Institutional Development, advancing Democracy through Education and preserving Peace and Security. A statement was issued during the Clinton Global Initiative (CGI) Summit on the sides-lines of the UN General Assembly where Mr. Fred Swaniker was announced as ADI’s 2015 preserver of democracy. Born in Ghana, Mr. Swaniker is a serial entrepreneur and leadership development expert. He is the Executive Chairman and Founder of the African Leadership Academy; an institution aimed at developing 6,000 transformative leaders for Africa over a 50-year period. Mr. Mamadou Touré was awarded PALP builder of institutional development. Born in Cameroon, Mr. Touré is Founder and Chairman of Africa 2.0 Foundation, an initiative-driven advocacy group that brings together emerging leaders representing African countries and the Diaspora, who share a common vision of the continent’s future. The Award is issued annually with no restrictions placed on sphere or sector domain. The esteemed members of the ADI Board will consider all finalists submitted to them and a candidate will be selected under strict rules of non-discrimination and impartiality. 1. Building Democracy through developing and advancing institutions that enable Democracy to thrive in societies. 3. Preserving Democracy by supporting and strengthening peace and security efforts in the continent. Demonstrates integrity. The recipient should embody or reflect a respect for universal human values and has served as a catalyst for democratic transitions and or processes, even at personal risk. Represents larger movement or cause. Recipient represents an organization, party or coalition that has played a central role in advancing democracy. 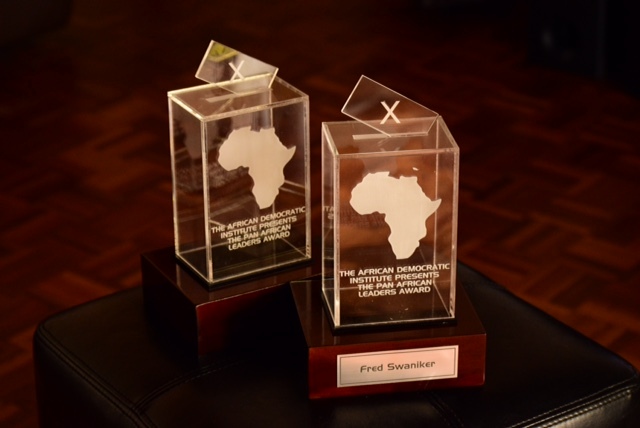 The African Democratic Institute and The Pan African Leaders Platform are pleased to announce that the 2016 PALP Award nominations are now open! Click here for nominations procedures. Some of the main objectives of The African Democratic Institute are to encourage the development of democratic leadership within the African continent and to empower citizens to increase participation in national issues. By being involved in this project ADI aimed to assist the Kingdom of Swaziland implement a democratic process. ADI was invited by Freedom House to participate in workshops with Swaziland Civic Society and assist in the numerous ways also drawing from ADI’s past experiences. The success criteria of this project heavily leaned on how well the “newly appointed” leaders of Swaziland would be able to manage the transition from a dictatorship to a fully-fledged democracy.